When I wrote my Red Dead Redemption 2 review a few months back, I praised it for its immersion, realism, customization and its finely crafted open world. However my main criticisms were aimed at the story, and for obvious reasons, I couldn’t go into details about why I felt it was lacking. But a few months have passed, people who have bought the game have completed it and Red Dead Online is taking over, so it’s time to talk about why I felt the story in Red Dead Redemption 2 did not live up to the rest of the games high standards. Let’s get straight to the point, the first half of Red Dead Redemption 2 is amazing. I felt the first chapter in the mountains started a little slow, but it was all to build the atmosphere of the game and introduce you to the major cast of characters within the Van Der Linde gang, and Red Dead does a terrific job of making each character an individual and not left in the background. By the time I was in Horseshoe Overlook in Chapter 2, I was well acquainted with all the characters and their individual personalities, this is what Red Dead Redemption 2 did best. 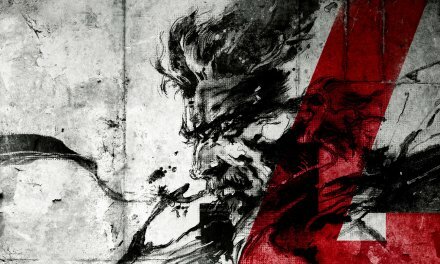 When you’re left to your own devices with the game world and its character’s minor stories, you have one of the best experiences you can have within a game, pure freedom to explore and get involved with your gang and the small adventures that go with them; Chapters 2 through 4 are golden for these very reasons. 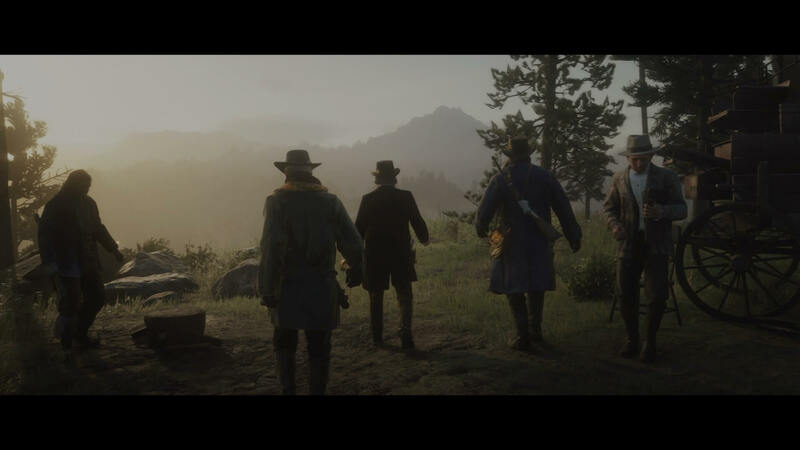 The story has a great sense of progression as you go on various adventures with different gang members all contributing to Dutch’s great plan, and all having their own distinct input on the current situation, such as the Pinkerton Detective Agency and the family feuds that take place in chapter 3. The missions you do for the gang are – for most part – integral to the story. You want to do them to see the end result, Such as meeting Angelo Bronte in Saint Denis. He was important as it related to the previous storyline with the Grays and the Braithwaite and Johns son. But this was only the beginning as his arrogance and snobbish attitude towards Dutch and Arthur led to own demise and motivated me to do what I had to do to get some form of revenge. But when revenge did happen, it was different than what I expected. Dutch drowning and feeding a man to a crocodile made me think “Oh wow, that’s a bit much” and I wasn’t the only one who thought so, with John immediately questioning if the brutality was worth it. It’s an important moment in the story as it’s the first time the gang is clearly shocked by Dutch’s actions and is only a small fraction of how lost Dutch becomes later on. Events like this are important for progression and development of a story, they make you think and evaluate your own opinion. In between these major events you’re left to socialize and form bonds with the minor characters and you pick up on all the minor things. Small details like when Bill asked me to get him some hair pomade, or when Sean asked me to go on a house raid with him, these weren’t on map triggered events, this was Arthur going about his business when they called me over. Being able to decorate the camp was another aspect of the game that added to the community and immersion of Red Dead Redemption 2. I didn’t know these people, they’re not real, and at the start of the game I was hardly equipped or had the knowledge to get the materials to spruce up the camp. I was looking forward when the time came that I could make the camp just a little bit more enjoyable, one step at a time; but that point never came. Red Dead Redemption 2’s story isn’t a gradual slow down or that it struggles for so long it becomes less fun, it all pinpoints down to one moment in the game; Guarma. The game grinds to a halt at this point with little to no actual story progression and with very little to do on the island itself. The game just sort of stops for the sake of ‘the gang gets shipwrecked and must escape’ with nothing else happening. 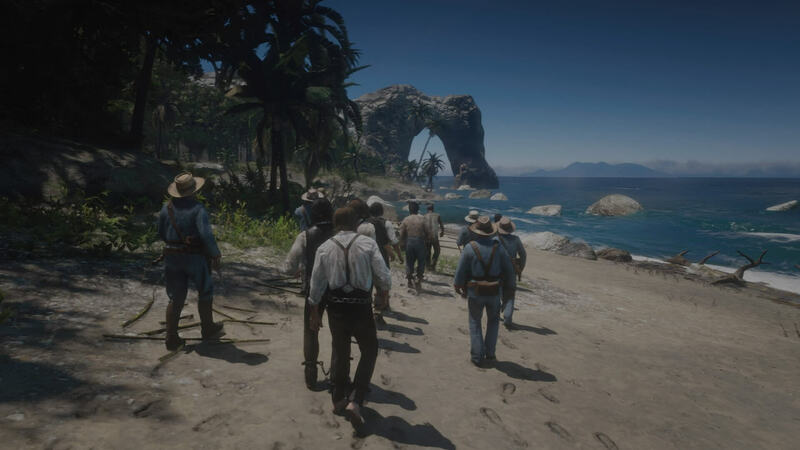 The mission before sees two major character deaths and has the gang re-evaluate their current situation as they’ve gone from wanted men, to wanted dead or alive. 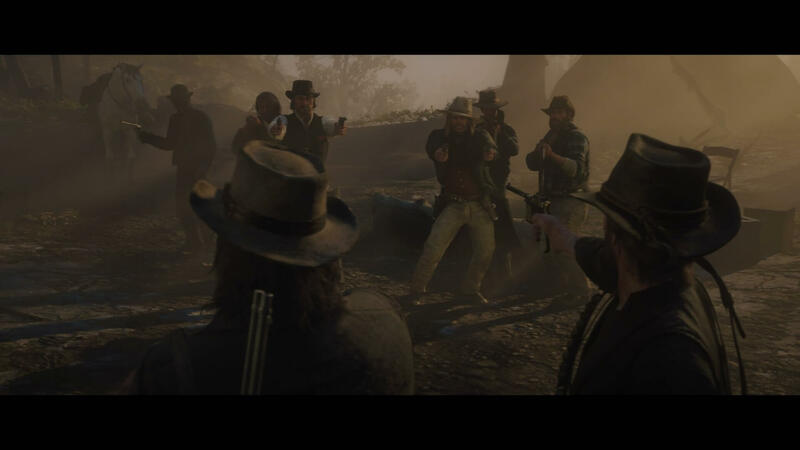 It’s a tense moment and made even worse as Dutch is clearly suffering from the loss of his right-hand man Hosea, the man who had been with Dutch for so long and was the social glue that kept the gang together while also keeping Dutch in line. To go from heavy hitting moments where I was thinking “Oh damn, what now?” to literally floating around on an island with nothing else going on. It kills the story entirely, with the only notable example being Dutch killing the old lady to get his gold back, but it lacked any impact and is overshadowed by “When can I leave this terrible island get back to the real game”. When I did return though, nothing was the same, the story doesn’t do anything until right at the end. Upon returning to the mainland you regroup with the old gang and I was looking forward to Dutch assessing the situation and going on from there. It was great to see everyone again, get some fresh clothes, a shave, my old horse and custom guns, I was happy to be back on the mainland. What I wasn’t happy with how lazy the game got; missions lost any impact or creativity, with most being ‘just go here and kill those guys’. Yes, we have the development of Arthurs sickness and it’s a heavy moment to take in, and there are the odd missions here and there that touch upon this, but that’s all they are. Missions don’t tie together after this point and divulge into ‘Missions we do with people and Arthur is clearly sick’ or ‘Missions we do for Dutch with no context’ with none of them linking up or feeling really rushed. Leviticus Cornwall, a huge oil tycoon who appears several times in the game is built up to be this elite man who’s pockets are lined to the point he could control the government, a man who wants your gang dead for constantly robbing him. So how does this guy die? Well Dutch finds out he’s in Annesburg one day, walks up to him on a pier and after some dialogue just shoots him in front of 20 or so of his armed guys and runs off. We have context for being enemies with him, but the anti-climax of this character was so unbelievably lazy it had me feeling more detached from the game. 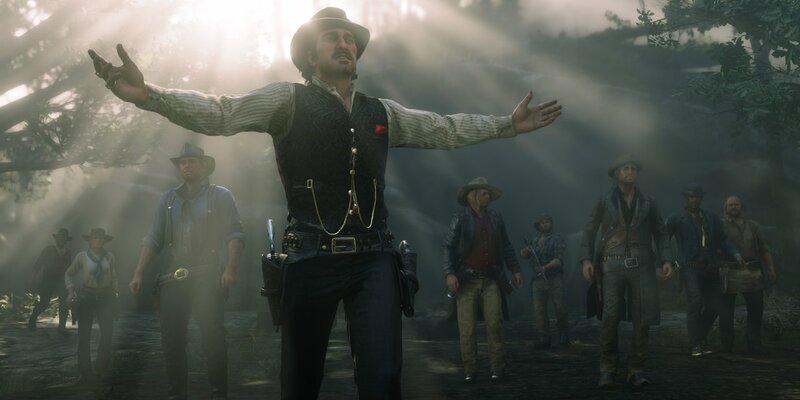 Another thing is that while Arthur and John are clearly unhappy with Dutch’s plans, and while they have their minor complaints, none of them really make it a big deal until right at the very end of the game. Micah is a constant pain in Arthur’s side and it’s obvious at this point that Dutch does not trust Arthur at all. Don’t get me wrong, I like that in the story. The man Arthur is in the first half the game is a stark contrast to who he becomes later on, and while I enjoy seeing him change due to the actions of those around him, I hate to see it so lazily put across by a game that started so strong. The short of what I’m trying to say here is after Guarma the story just turns into “Dutch does some crazy stupid things and Arthur goes along with it because video game”. I know it’s not that black and white, and there is more to it than that, but the game does a very poor job of putting that across. It still does have its moments, kicking Strauss out the camp is one of those moments as Arthur realizes the horrible people they have become. This does raise another problem though; remember all that decorating of the camp I mentioned earlier? By the time late game kicks in, there’s not much left to decorate. 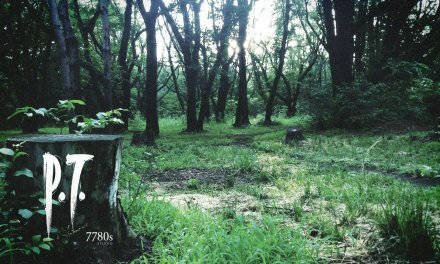 Most members of the camp have either died or deserted so the happy, fun-filled camp you had in Horseshoe Overlook has become a damp depressing place with very little reason to care anymore. I guess I can’t criticize the game for doing so, as that’s good narrative development. It shows the demise of the gang and how they’ve fallen from a community of outcasts, to a generic rabble of bandits. However what gang members are left aren’t important to the story anymore anyway. 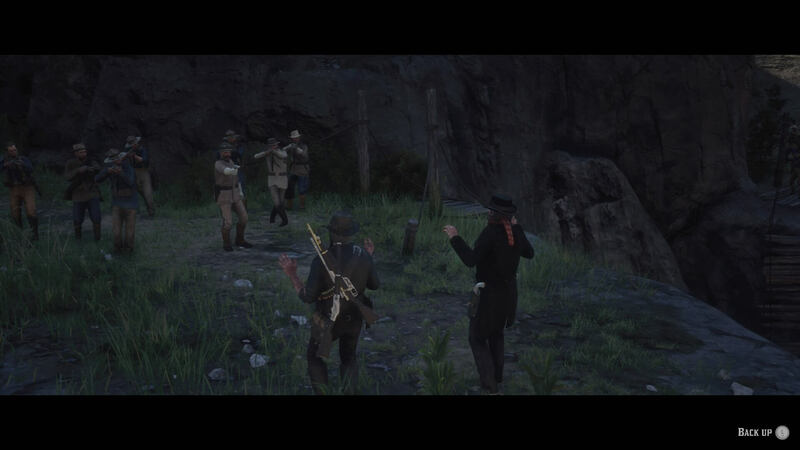 Bill and Javier exists only to say hello to, but they stopped being important to the story long ago, with the story concentrating on Dutch, Arthur, Micah and John, and I wouldn’t criticize this so much if the game was always this way, but it wasn’t. As previously stated the game did a fantastic job and getting all the characters involved in the first 4 chapters. As soon as we return from Guarma they just fade into the background, as if they’re being saved for another game. but I digress. The final mission in Arthurs story is amazingly well done and I truly felt for the characters and how the story ended for them, with the emotions by all characters really lifting my trust in Red Dead Redemption 2. 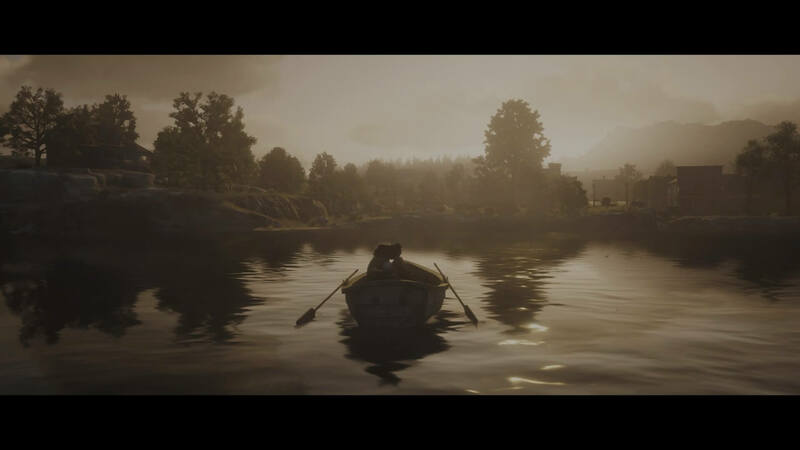 Arthur’s final words with Abigail and Sadie followed by his final ride make for some beautiful cinematography. The loss of his horse was oddly one the saddest parts and then deciding to help John get of the mess like you promised him. 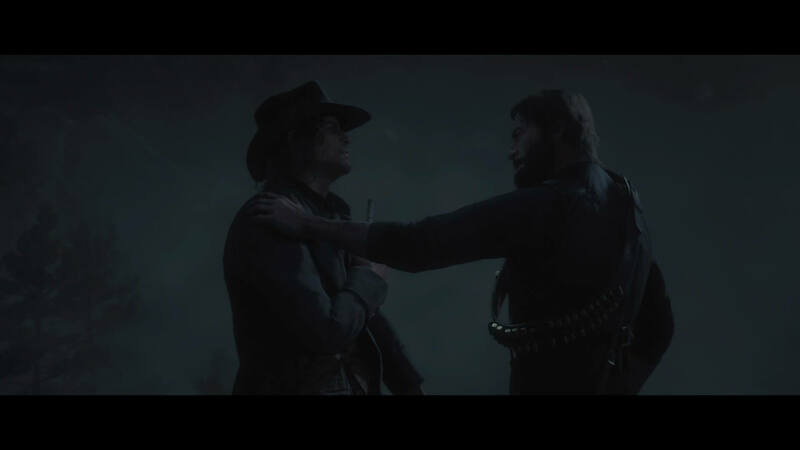 With his final goodbye, John tells Arthur “You’re my brother” and it really hit hard knowing that the end was in sight for Arthur, using his last moments to help John. The arrogance of Micah refueled my passion for ending him, but it was not to be Arthurs job. After a passionate fight both characters fall to the ground, with Arthur being worse off. Dutch shows up and is clearly shook by seeing his former protege dying out in front of him, being left speechless and unable to form words, he walks off leaving Arthur to die as the sun rises. 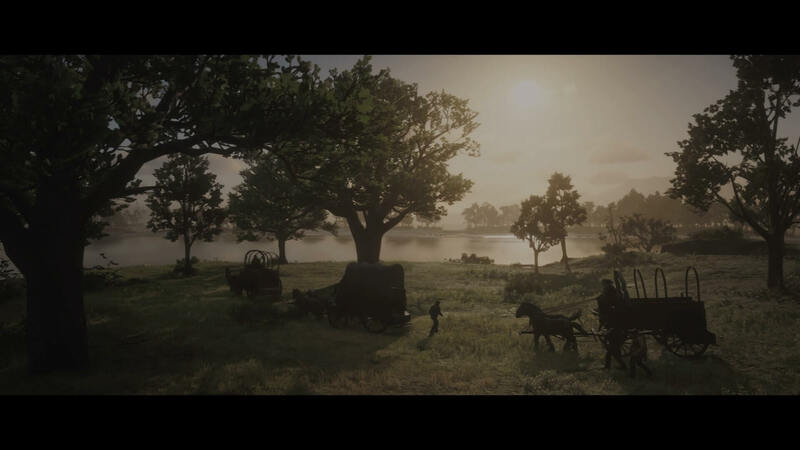 This ending was some amazing work by Rockstar and while it doesn’t make up for how bland the game got, it still reminded me that when this game played to its strengths, it was an amazing game that knew how to tell a story. What follows after this sort of does make up for the games previous faults. I won’t go into great detail as there’s too much to cover but the epilogue really revitalized Red Dead Redemption 2 for me. Playing as John starting out from scratch trying to make an honest dollar for himself was wholesome to see. It made the game feel new and fresh again, I wanted to see John succeed, meeting old friends, doing odd jobs and building a new life in West Elizabeth motivated me to play more. This is what Red Dead Redemption 2 was about, progression of a family to hit goals that would make them happy, which was lost in the latter half of the main game, as those goals weren’t so clear anymore. A bittersweet ending, for we know what fate has in store for John Marston. I gave Red Dead Redemption 2 a score of 95%. It may seem odd to give such a high score to a game whose story I’ve criticized for however long, and I stand by these criticisms. I also stand by my score. 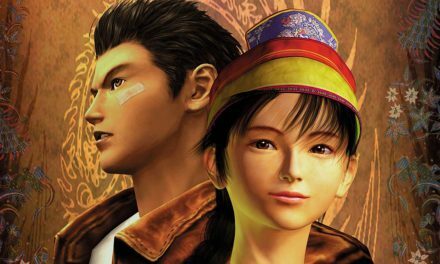 The latter half of the story isn’t a large majority of the game, and the parts of the story that are involving and fun are some of the best gaming experiences I’ve had in some time. The story does fail to deliver at times but it does not make it a bad game, nor a terrible story. It just makes it falter a bit towards the end. Luckily it is saved by it’s epilogue and the deep meaningful moments throughout the game that makes you realize that Red Dead Redemption 2 is one of the best games of this generation, and should not be missed by anyone. 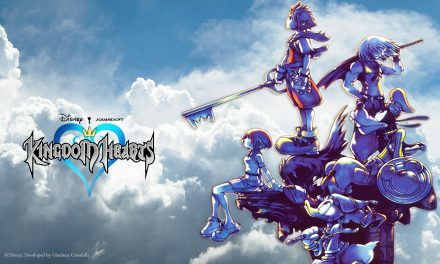 Six Times Kingdom Hearts Pulled Our Collective Heart Strings!